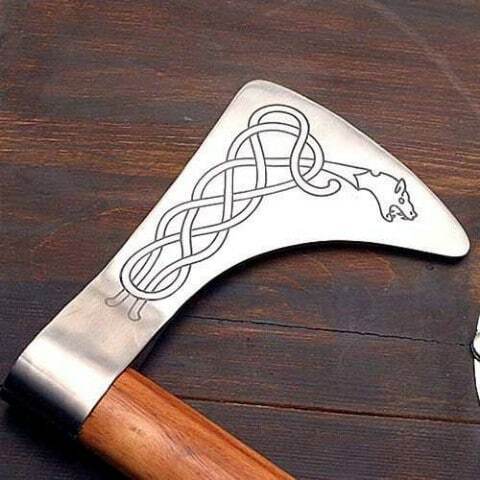 A great choice to add to your Viking gear. All Nordic warriors used to hold their weapons in great reverence. 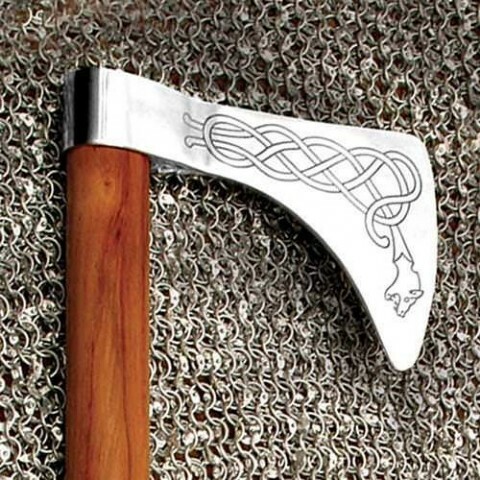 The Viking’s equipment used to consist of a sword, sax, axe, spear and round shield. This axe is the perfect size for one handed combat in conjunction with the shield. It has a beautifully decorated head that displays a Viking Dragon knot work motif. 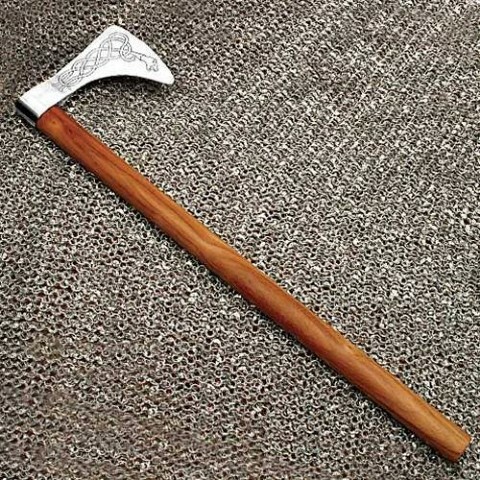 The head is tempered steel and the shaft is made of a strong hardwood. Blade 18cm x 11cm x 5cm. A really nice addition to the collection.